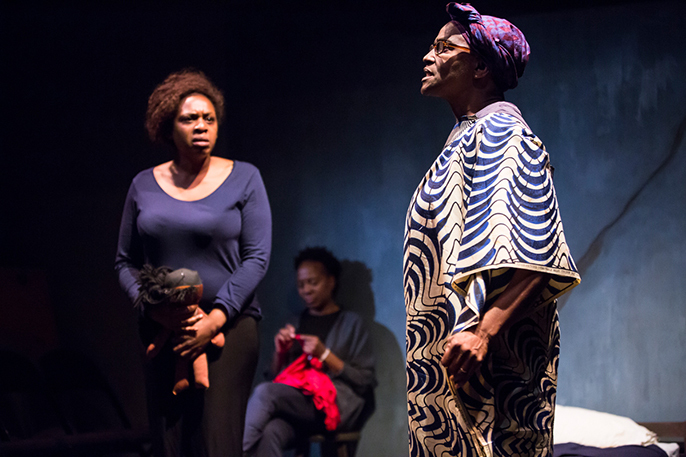 Writer and actress Gloria Williams explores the effect of FGM on three women in London from Sierra Leone through her play ‘Bullet Hole’. Questioning the traditional views and highlighting the difficulties faced day to day by women living with the remanence of the violent act. Questioning womanhood, maternity and marital relationships through the three different women we can see a rounded picture of what life is like for each of them, all struggling with loss because of this brutal tradition. Through all the struggles and transition of each woman the audience is left hopeful for the future of women struggling and fighting against FGM. The intimate theatre setting helps such a personal story being told. The simple set contrasts and emphasises the complexities of each woman and their unique experience with FGM. 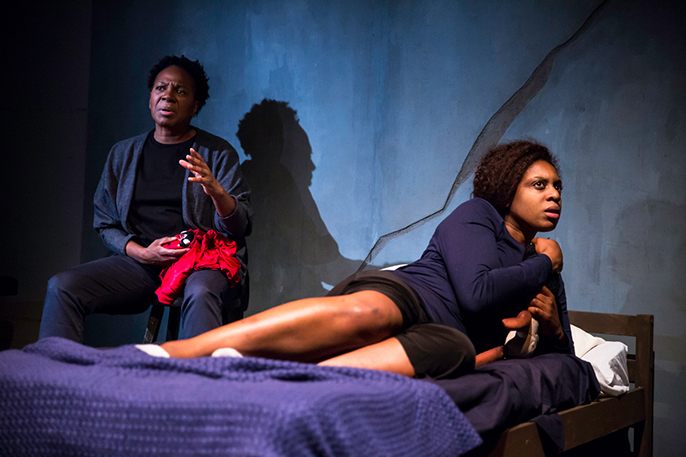 Gloria Williams’ character, Cleo, wants a reversal of the stage three female mutilation, done at the age of seven after revealing her uncle had been abusing her. Sent to Sierra Leone from London to ‘become a woman’, she is left disillusioned by the brutal tradition. After running away from her abusive husband, she decides she can no longer live this way. Bravely speaking out and fighting for the acceptance of her wishes against her Aunt Winne, played by Anni Domingo, and her friend Eve, played by Doreen Blackstock. All three women having different views on FGM reflecting their ages and ties to tradition. 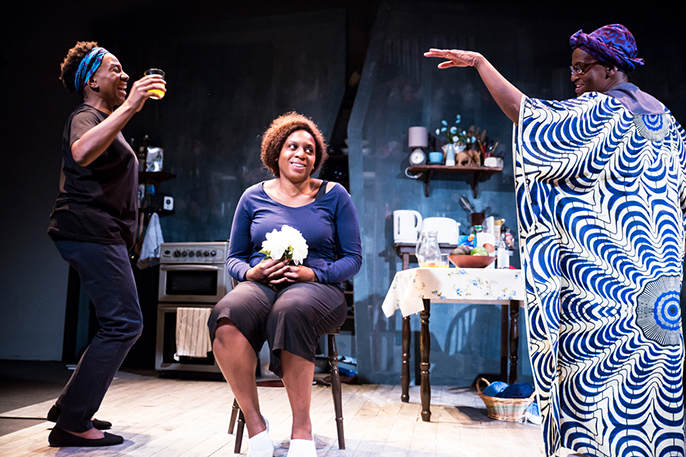 Williams constructs a compelling and moving story through the opposing views of Cleo and Aunt Winnie and with Eve somewhat in the middle, unsure of what is right. The limitations of their bodies gives each woman a feeling of loss in one way or another, explored with brilliantly captivating performances. While Aunt Winnie is unable to see where Cleo is coming from - repeatedly calling the mutilation a ‘gift’ to protect women from their own sexuality. Domingo’s convincing performance renders it difficult to see her as a traditional villain as she truly believes FGM is helping women. Eve believing in the tradition as a ritual into womanhood but seeing how detrimental this has been to Cleo while trying to help her, is left unsure. 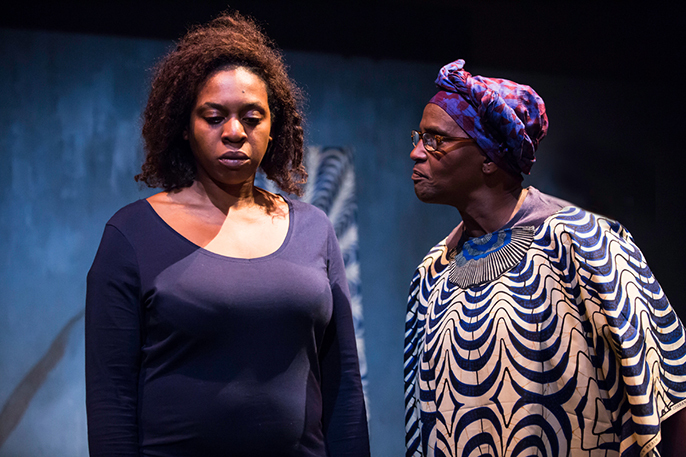 Blackstock’s performance of the kind maternal Eve is touching, and the audience can feel her conflicting opinions on the subject. ‘Bullet Hole’ also touches on the effects of FGM on men - husbands becoming abusive and hurting their wives or being too scared to touch them in fear of causing them pain. The difficulty of conception and complications of childbirth are also examined, showing the audience the lifelong difficulty of such a merciless act. 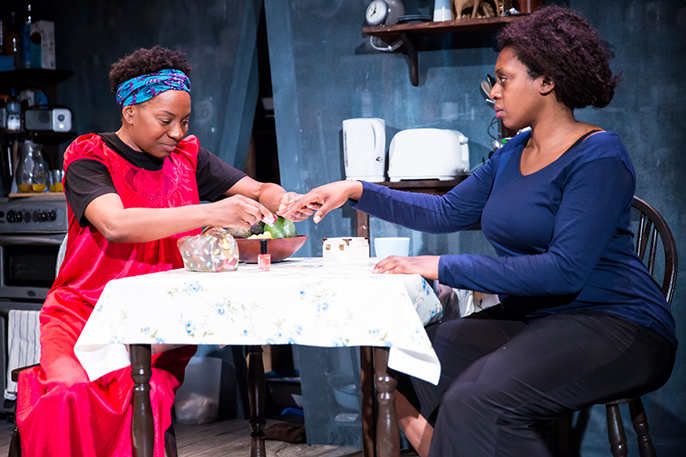 With music emphasising emotions of the characters, it works specifically to amplify the tension between Cleo and Aunt Winnie. The stripped back production keeps the topic at the forefront and does not get swamped by too much unnecessary action. This is an incredibly important story to be told, and Williams tells it well, informing and educating the audience through wonderful performances by the whole cast. While it does seem quite repetitive towards the end, it does replicate the circular arguments and frustration of such strong and opposing views. Through all the struggles and transition of each woman the audience is left hopeful for the future of women struggling and fighting against FGM. NEED TO KNOW: BULLET HOLE is at Park Theatre until 27 Oct 2018 | See listing | Book tickets #EndFGM | 10 & 18 Oct 2018 - Post show Q&As will take place after the evening shows scheduled on these dates. Guest speakers will be Anti FGM activists, charity leaders and NHS representatives. These events are free to attend, included in your ticket price. Bullet Hole is supported by UnCUT/Voices, Council of Ex-Muslims, The Vavengers, Safe Hands For Girls, 28 Too Many, National FGM Centre, La Fraterinte Guineénne, FORWARD, Global Media Campaign to End FGM, The Royal College of Midwives and Global Comfort.